A crushing, pounding, aggressive compressor for massive drums. 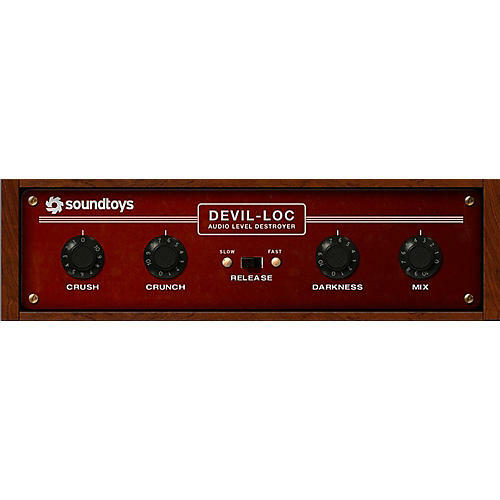 To take things beyond the hardware that inspired it and give you even more creative flexibility, Soundtoys has created a deluxe version of the Devil-Loc plug-in, Devil-Loc Deluxe. The Deluxe version adds a “Darkness” control for tone, switchable slow or fast release times and a mix knob so you can mix your dry signal back in right on the front panel.